The call by the ZANU-PF's First Secretary and President, Emmerson Mnangagwa, during his address at the recently held Youth National Assembly meeting, that party leadership should abide by the party's constitution and stop debating party issues in public needs to be embraced by all ZANU-PF party members to foster unity. The ruling party, ZANU-PF, will only remain united, strong and vibrant if its party members heed President Emmerson Mnangagwa's call to obey the party constitution. A constitution can best be described as a basic set of rules for the daily running of any organisation. Normally; it constitutes details for members on objectives, methods of management and other conditions under which the organisation operates, and generally the reasons for its existence. A constitution also regulates the relationship between members by setting out the basis for working with other co-members. As an institution, ZANU-PF has its constitution which must be followed by all party members. Whilst addressing the 107th Ordinary Session of the ZANU-PF Central Committee in December last year, President Mnangagwa rightly stated that, "The constitution is the soul of our party, a straitjacket that prunes our behaviour and conduct as members; it moulds us so that we do not break, for it gives us shape and form." 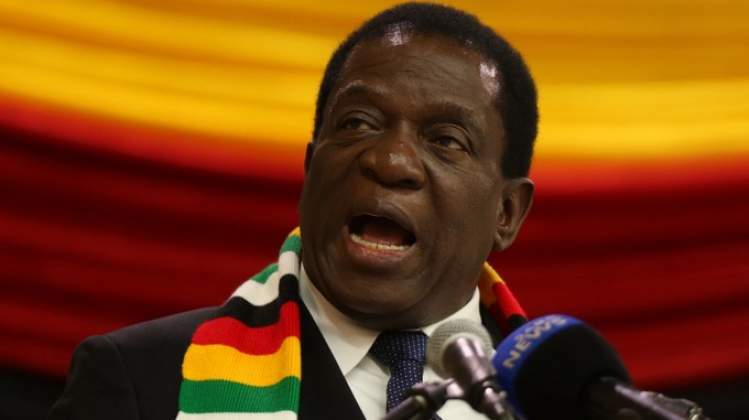 Also, speaking during a recent ZANU-PF national youth meeting, President Mnangagwa said party officials at every level are expected and obligated by the constitution to be faithful and loyal to the ideals, values and principles of the party. In the same manner, the President encouraged ZANU-PF members to air their grievances through the correct channel, thus, from the cell to the national level. President Mnangagwa said, "In ZANU-PF, we have our ways of airing out grievances from the grassroots to the top. If one says he or she is a member of ZANU-PF, we expect that person to understand party procedures on airing out grievances." The President bemoaned and warned undesirable voices amongst party members who were speaking against the party with intentions of splitting it. It is high time that ZANU-PF members take President Mnangagwa's call seriously so that the revolutionary party remains a united front. Using other communication platforms which are outside of ZANU-PF communication channels in airing grievances is not health for it creates divisions which may split the party. It is imperative for ZANU-PF members to comply with the regulations of the constitution as it is believed to be the starting point of the rule of law. During the election campaigns in July this year, President Mnangagwa made it clear that no one was above the party, and as such all party officials ought to abide by the party's constitution. If truth be told, those alleged to be fanning factionalism within the party should be reminded that such acts can destroy the party. There is really need for the responsible authorities to look into that matter, because if left unchecked, it can cause harm to the progression of the ruling party. To be precise, those people who are going against the principle and ideology of the party should be disciplined. ZANU-PF members need to be advised that the revolutionary party is a mature party which does not tolerate any indiscipline to take place among its members. Those found on the wrong side of the law should be internally dealt with so as to curb indiscipline which has the potential to destroy the party.